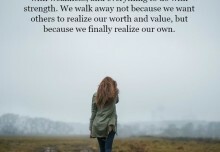 Realizing our worth and value. Never let them stop you. Some believe they can be found. Some believe in finding they come. Someone like that fell in love with me 20 yrs ago and we got 6 kids and as I type this words is asleep beside me now….LUV U Far. I wasted my 35 years with the most selfish man! Thats me just waiting for her to relize whats in front of her. 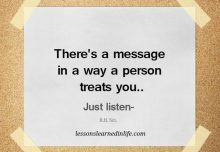 I have always been such a person to people but no one has ever treated me likewise….I ll keep on trying though. I wish to find my real soulmate. Someone who wiil treat me with respect, love me for who I am and care for me, someone who is not selfish, someone who trust me and I can trust and be HAPPY for both us! i gave it all to to a selfish, self-centered man for 35 years because I loved him, hoping it will get better but he’s gotten worst. How stupid me! Im moving on. Myself is now my Priority! Hope to find my real soulmate someday. I have fallen for and am in live with man!!!! He is there most kindest and amazing person and he loves me so much! Nothing is ever to big for him and together we have grown. Both our 2nd chances and we are at a level in our relationship, that we are intimate with each other! Not just in love!!! 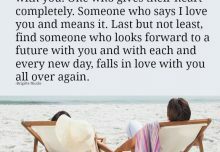 I wish you all should find that one special man! He is my true soul mate, a match made and ordained by God in heaven and together with God in out lives, we will continue to grow….. 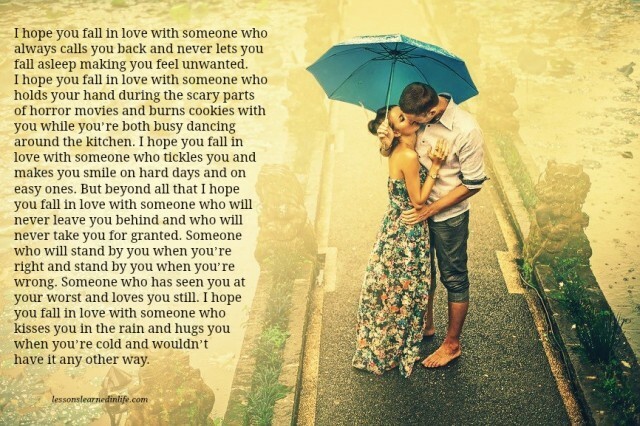 I hope there is still that one person who will do all these things for me. It’s difficult to take chances on people who just swept you off your feet for a moment and suddenly forgets in an instant. Hard as it may seem, but I’m still waiting for the right one for me, patiently.. Sometimes you live for the sparkle of happiness amiss the dark and unhappiness. If only he would stop complaining about you. I know he is afraid to stop and think. 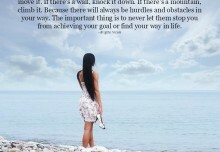 Time will continue and it will eventually catch up with you.